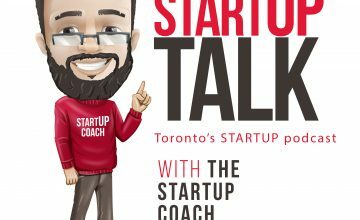 On this Episode of Startup Talk I talk to Victor Chew about closing the deal by building relationships, turning massive data sets into 3d animations that are consumable, & how drones change the video business. I also meet with the founders of Social lite Vodka about how to launch a beverage company, getting into the LCBO, being on Dragons den, having a Dragon as an investor, and they announce their latest flavor. I talk to Victor Chew about closing the deal by building relationships, turning massive data sets into 3d animations that are consumable, & how drones change the video business. The founders of Social lite Vodka talk about how to launch a beverage company, getting into the LCBO, being on Dragons den, having a Dragon as an investor, and they announce their latest flavor.